Lumenis Ltd., the world’s largest energy-based medical device company for aesthetic, surgical and ophthalmic applications, announces the launch of its newest platform, the Legend Pro+™, a unique multi-application platform powered by four clinically-proven, complimentary technologies. The platform will be showcased at the 17th annual Aesthetic & Anti-Aging Medicine World Congress (AMWC) conference in Monte-Carlo, Monaco from April 4th – April 6th, 2019. The Legend Pro+™ is a face and body platform offering a comfortable solution with immediate results, long-term efficacy, minimal pain and downtime, with no need for anesthesia. The platform combines four innovative technologies based on RF current, in order to offer a complete toolkit for tailor-made sessions, meeting your patient’s expectations. Hybrid Energy (HE™), a RF-assisted ultra-thin electrodes treatment combined with direct current, TriPollar® RF, DMA™ muscle stimulation and TriFractional™, all encourage and enhance the natural healing and regeneration process of the body. By using a combination of TriPollar® RF energy and DMA™ Muscle energy, Legend Pro+ has the ability to treat the skin from within, toning the muscles of the face (SMAS) and the body all through to the epidermal layer. Its new cutting-edge handpieces are able to provide real time temperature readings with in-motion millisecond precision, in addition to a countdown timer display. Legend Pro+ is also equipped with five different ultra-thin electrodes and pins tips that differ in length and dimension to create the desired clinical effect. 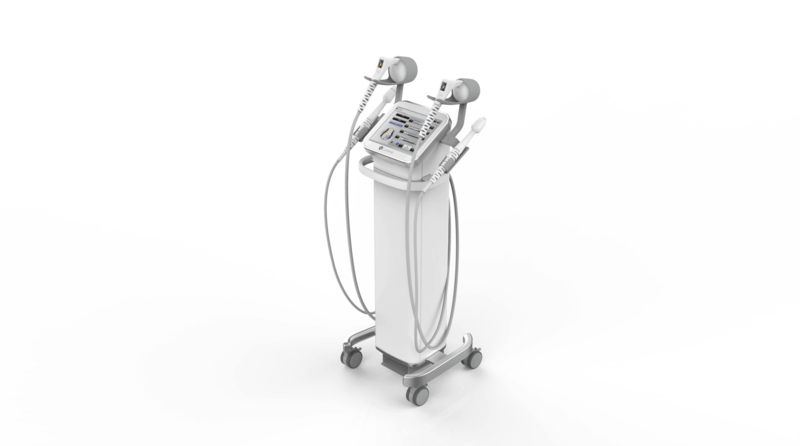 These factors enable the device to provide a range of face and body treatments including non-invasive body circumference reduction, skin tightening, cellulite reduction and wrinkle reduction. Legend Pro+™ offers a complete toolkit of non-invasive and minimally invasive technologies to enable the user to create tailor-made treatments and achieve fantastic results for every patient – from resurfacing of the upper layers of the skin, to regeneration of collagen in the dermal layer, to toning and firming the SMAS layer. Lumenis will introduce the Legend Pro+™ during this year’s AMWC conference. Presentations highlighting NuEra tight™, M22™, SPLENDOR X™ and PiQo4™ will also be occurring at the booth. Please visit lumenis.com for a detailed agenda of activities at the conference. For more information about the Lumenis family of products, please visit the Lumenis booth (C12).